Build your own 3D Tree Spirit puzzle over and over again. It's a great addition to your Princess Mononoke collection. When assembled measures about 3 2/5-inches tall x 2 1/3-inches wide x 1 3/4-inches long. 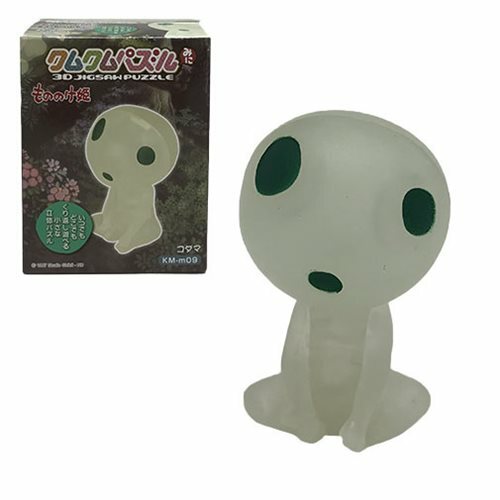 The Princess Mononoke Tree Spirit Kodama Mini 3D Puzzle makes a great gift for Studio Ghibli fans. The puzzle has 9 pieces.Ages 15 and up.